Description: This accession is a dwarf variety known as "Hart". Uses: Star-fruits are popular tropical fruits and used commonly in Ayurvedic and Traditional Chinese Medicines (TCM) in India, China, and Brazil to relieve ailments such as chronic headache, fever, cough, gastro-enteritis, diarrhea, ringworm infections, and skin inflammations 5 . 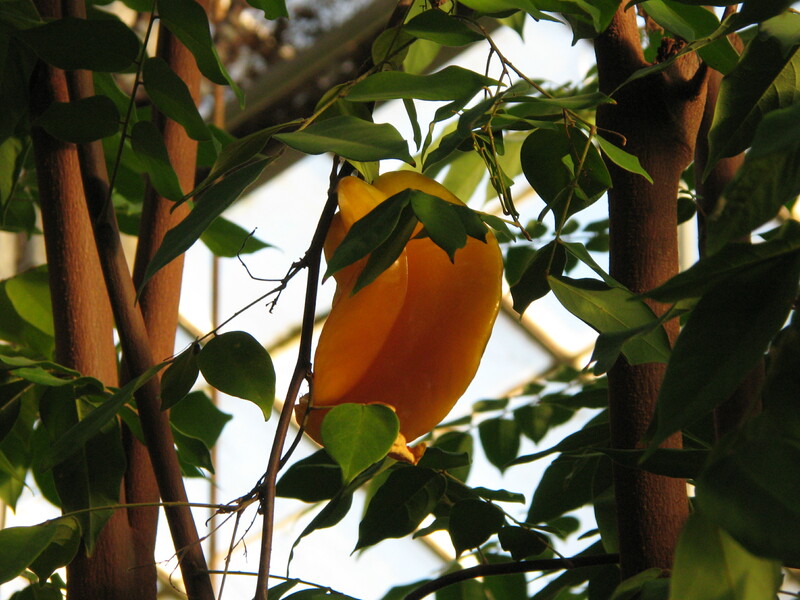 Yet, this plant is very toxic due to the high amount of oxalate and caramboxin, which is a neurotoxin. 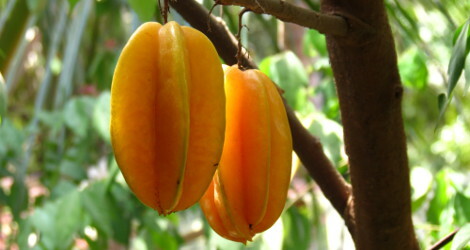 Star fruits are rich in vitamin sources. They contain many antioxidants, iron and zinc, phosphorus and magnesium. 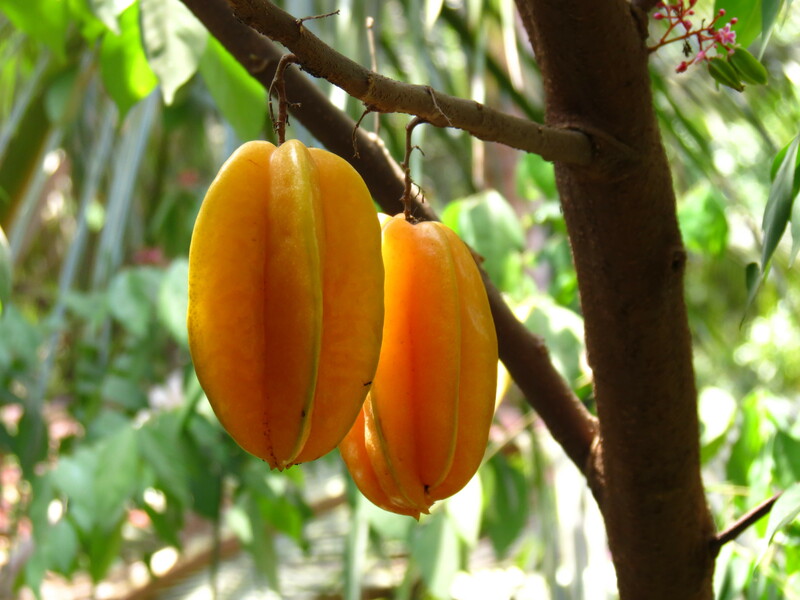 Preparations of star fruit mixtures can be used to treat fever, sore throat, headache and asthma. It has anti-inflammatory properties which aid in skin inflammation and stomach distention. This plant however is HIGHLY toxic to people experiencing kidney problems and whom aren't able to properly filter their body. Do not take without a physician consultant and even then, be very cautious. 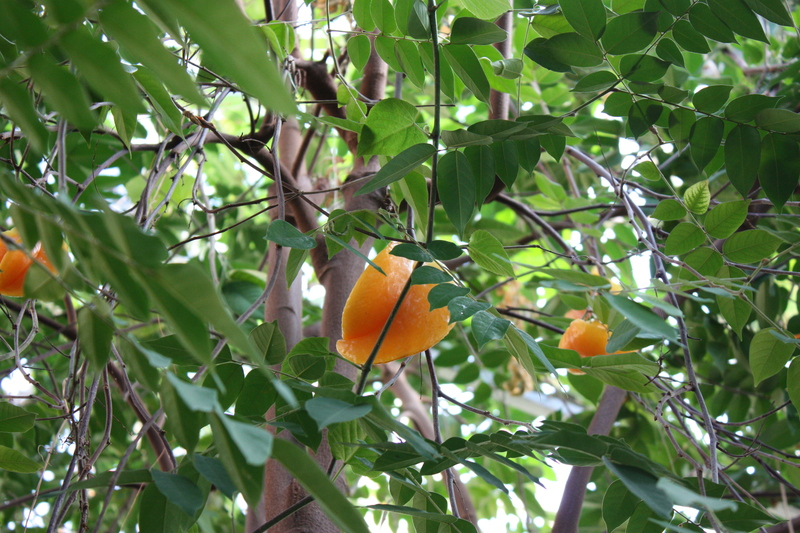 Like several other plants of the family Oxalidaceae, its fruits are rich in oxalic acid, which is toxic in high concentrations. Morton, J. 1987. 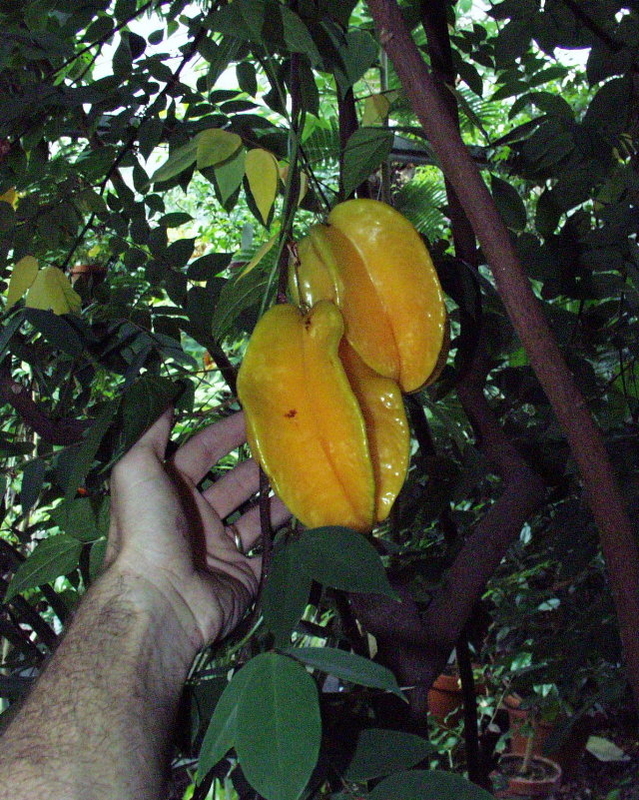 Carambola. p. 125–128. In: Fruits of warm climates. Julia F. Morton, Miami, FL. Accessed 7 April 2015. 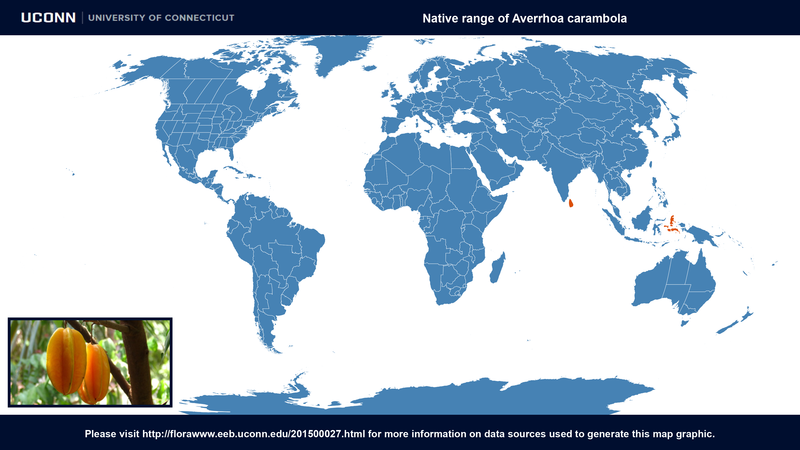 Averrhoa carambola at Wikipedia. Last accessed on Friday, July 21, 2017. 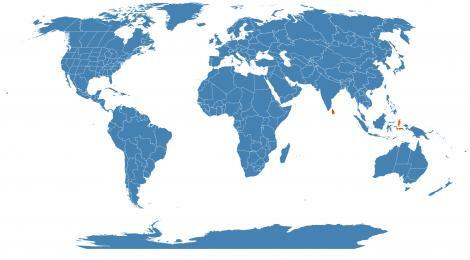 Image #00 (cropped) and #04 (original) by Mailamal (Own work) [CC BY-SA 3.0], via Wikimedia Commons. Last accessed on Friday, July 21, 2017. Nutritional, Medicinal and Toxicological Attributes of Star-Fruits (Averrhoa carambola L.): A Review N. Muthu, Su Yin Lee, K. K. Phua, and S. Janardhan Bhore. Bioinformation. 2016; 12(12): 420–424. Published online 2016 Dec 22. Last accessed on Thursday, March 29, 2018.